a)	Just link the products in your store to a vendor/manufacturer/supplier/shipping partner. 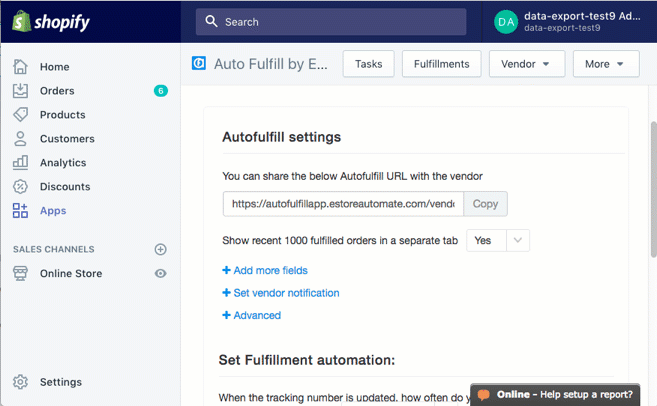 c)	The order information can include regular and custom order information like cart attributes, metafields, tags, product images or other custom fields. 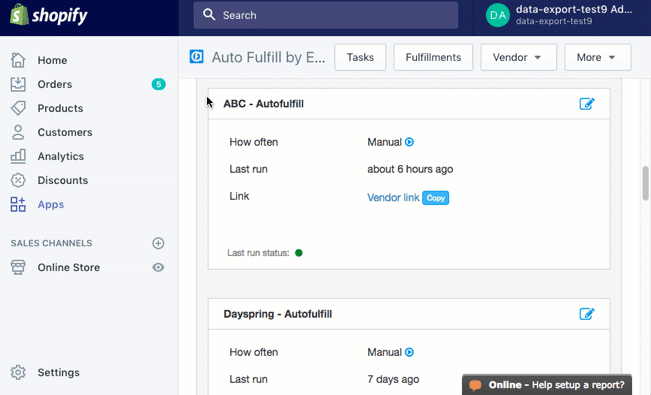 a)	Vendor is notified instantly, or at a time set by you. b)	A permanent vendor link will show all the unfulfilled orders that to be packed and shipped. c)	Vendor can also choose to receive unfulfilled order information by Excel spreadsheet. 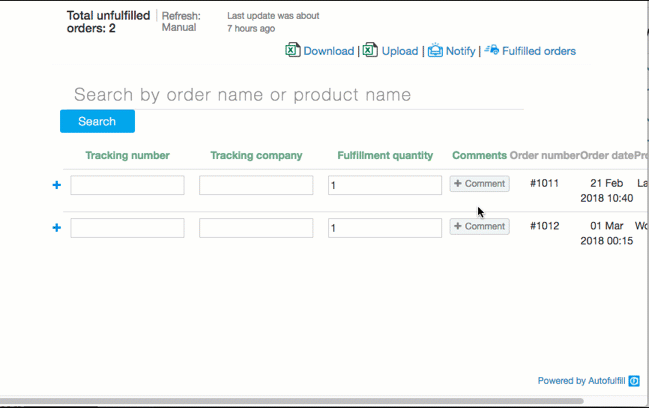 a)	When vendor enters the tracking number in the unfulfilled sheet, the order is automatically marked as fulfilled in Shopify. b)	Orders are automatically fulfilled at a scheduled time or every hour. c)	Orders can be fulfilled in bulk using Excel file upload. a)	Vendor can enter comments for each order. Comments about order status, stock outage or delayed delivery. All comments are consolidated so information is not scattered in your inbox..
c)	Know profit margin of each order by entering vendor cost. You can view and report cost & profit of an order and profit over time.